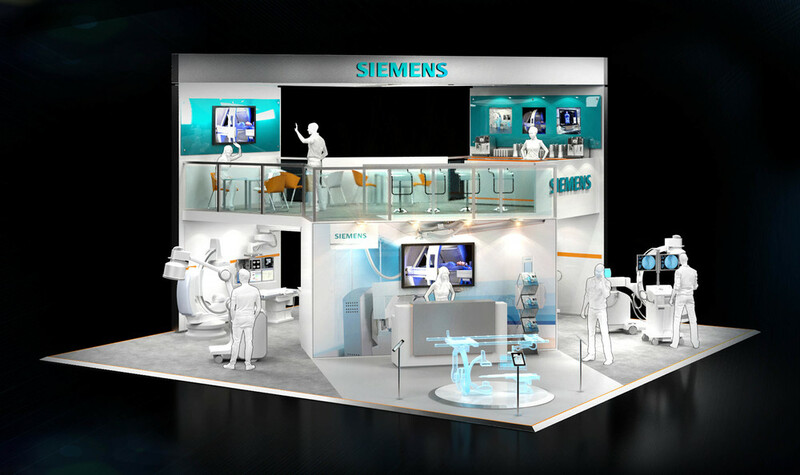 I was approached by Primary Events to create a design and set of visuals for a pitch to Siemens Healthcare. 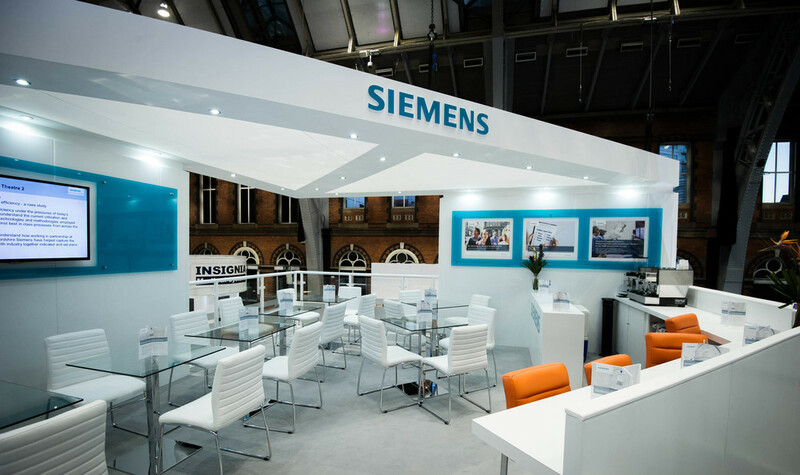 The initial project involved designing and visualising a 10m x 10m two storey exhibition stand which was to include hospitality, presentation space and areas for the display of large equipment. 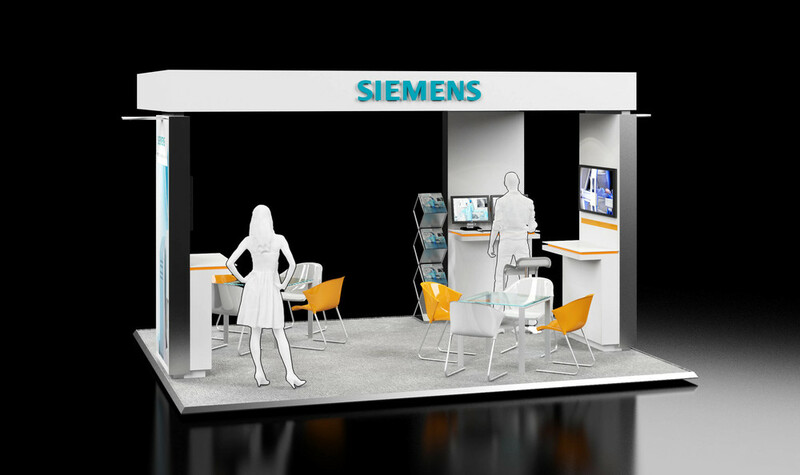 The use of augmented reality interactive displays using iPads was also proposed to allow the effective display of larger products that would take up valuable stand space if physically included in the design. 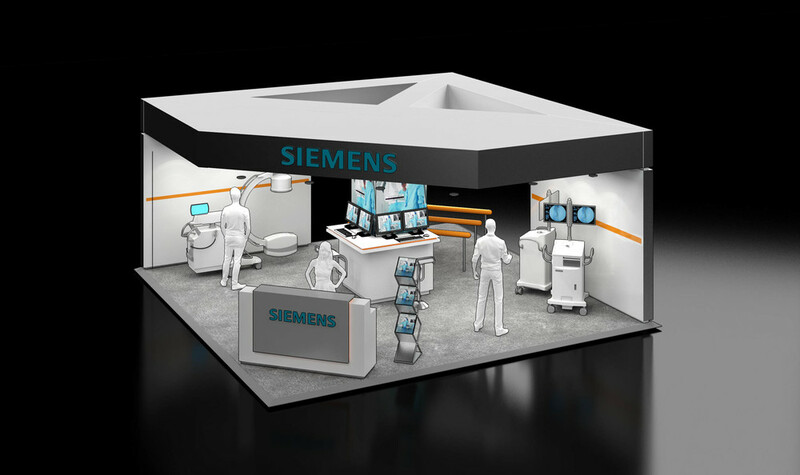 Upon successfully securing the contract to provide and manage the Siemens Healthcare exhibition stands for a number of years the exhibition stand design was evolved and a number of smaller stands were also developed to meet all requirements of the various stake holders.